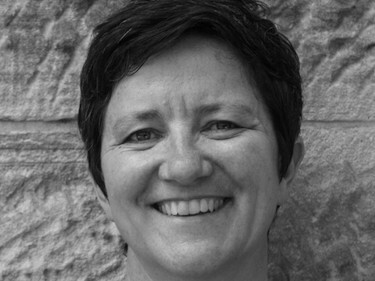 Caroline Pidcock, director at Pidcock – Architecture + Sustainability, is a judge on this year’s Sustainability Awards. Pidcock is also a member of the Living Futures Institute Australia and Sacred Heart Education Ministry Boards and ambassador for both the Al Gore Climate Change and 1 Million Women projects. Architecture and Design spoke to her about socially just design, understanding the value proposition and biophilic design. Projects that see and realise the opportunities for an abundant living future. How much do you think sustainable design has changed over the past couple of years? Sustainable design has expanded to incorporate the many rich aspects of what is really entailed – not just water and energy efficiencies. A sustainable future is “socially just, culturally rich and ecologically restorative.” People now realise it is not less bad, it is actually good. What do you think is the most pressing sustainability issue for the industry at the moment? To realise that incremental improvements to the business as usual model are not enough – we need to change the paradigm and our associated expectations and valuations. We need to incorporate a much wider spectrum of issues in understanding the value proposition of the many aspects that need to be accounted for. What is a new technology or approach that you hope gains wider use? I am looking forward to people understanding and incorporating the very rich source of inspiration and knowledge that nature has to offer. With 3.8 billion years of research under the belt, biophilic design can bring huge benefits to any solution you are considering. Do you think sustainability is still an add-on or is it incorporated holistically? If its add-on it is not sustainable. An inherent part of sustainability is whole systems thinking – nature does not silo issues, it has ecosystems that are absolutely interdependent for success. Where do you see sustainable design heading in the next few years? I am looking forward to design systems that create built environments that are net positive in energy and water, that create no waste, that are healthy to inhabit and that bring great joy to life every day.